Charlotte trained at The Royal Ballet School and as a student performed with The Royal Ballet in roles including Duck (Peter and the Wolf). There she was a finalist in the Ninette de Valois Junior Choreographic Competition for three consecutive years, and won the Kenneth MacMillan Senior Choreographic Competition in 2011 and 2012. She went on to study at Rambert School of Ballet and Contemporary Dance, and completed her two-year foundation degree in 2015. 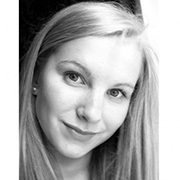 Edmonds was Causeway Young Artist in Residence with Yorke Dance Project in 2013/14, where she created No Strings Attached. She made her Royal Ballet choreographic debut in 2014 with the film The Indifferent Beak for Deloitte Ignite 2014. She was the Commissioned Choreographer for the 2015 Genée International Ballet Competition. Other companies for which she has choreographed include London Children’s Ballet and Dutch National Ballet Junior Company. More recently she has joined the inaugural Royal Ballet Young Choreographer Programme for the 2015/16 Season.